Adrienne Maiers. Nov. 17, 2012. 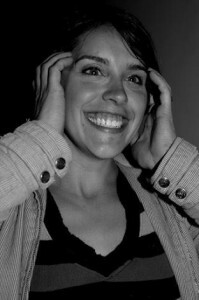 Adrienne is a performance artist, educator, and aspiring therapist/healer. All of her work has but one basis: the collective healing of humanity. She dances, writes and shares poetry, educates and empowers youth, practices and leads yoga and meditation, thinks with an occupational lens, and organizes meaningful projects to further this mission. She is a human being and a citizen of the world. This new work incorporates poetry, dance, and music together in an exploration of the teachings of the International Council of 13 Indigenous Grandmothers, the Divine feminine, coming from the culture that has lost its memory, and questioning what we can do to re-member and re-integrate indigenous human wisdom in this time.